I’m facing an Aggravated DUI in Maricopa County what are the consequences? If you’ve been charged with an aggravated DUI in Arizona you will be faced with a mandatory ignition interlock device being installed on your car as well as a minimum of four months in prison, supervised probation, fines, and license revocation. Following the period of which your drivers license suspension/revocation an ignition interlock device will be installed on your car to deter drinking and driving. Before the vehicle can be started you must deliver a breath sample into the device. If you refuse to provide a breath sample or the sample exceeds a set blood alcohol level the IID device will log the event, warn you and then an alarm will start until the ignition is either turned off or a clean breath sample is provided. Aggravated DUI’s in Maricopa County are classified as felonies and the penalties are some of the harshest in the country and are far more severe than those of misdemeanor DUI charges. If you have been charged with an aggravated DUI, the severity of penalties and potentially life-changing implications of a conviction require a lawyer who has experience defending clients charged with an Aggravated DUI. At the Law Office of Aaron Black, I have been successfully defending individuals charged with all criminal offenses, vehicular crimes and DUI's in all Arizona federal, state and city courts. 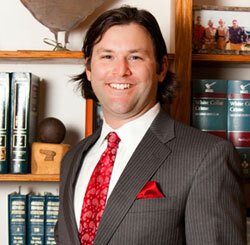 I personally represent my clients and put my courtroom experience to work to obtain the best possible outcome. If you are in need of aggravated DUI defense , contact me or call to set up a free consultation at 480-729-1683 to discuss your case today.